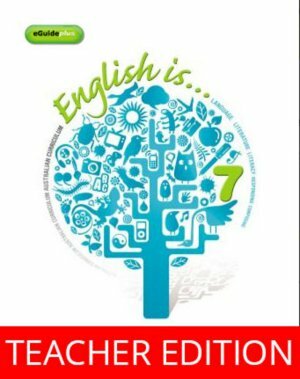 English is ... English for the Australian Curriculum Year 7 eGuidePLUS (Online Purchase) is an electronic version of the student textbook plus a complementary set of targeted digital resources which make teacher planning and preparation easier. These flexible and engaging ICT activities are available online at the JacarandaPLUS website (www.jacplus.com.au). • Australian Curriculum: English coverage grids.